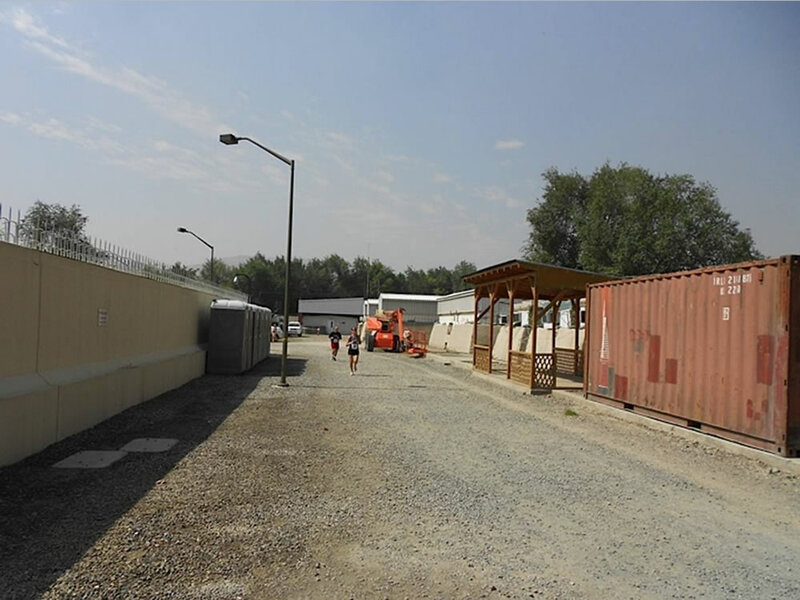 "Duck and cover, stay away from the windows" and the "Whirr Whirr Whirr" sound of a helicopter flying right above my head are things I hear very frequently as I run around the perimeter of the "secure" area of the US Embassy in Kabul, Afghanistan where I currently live. 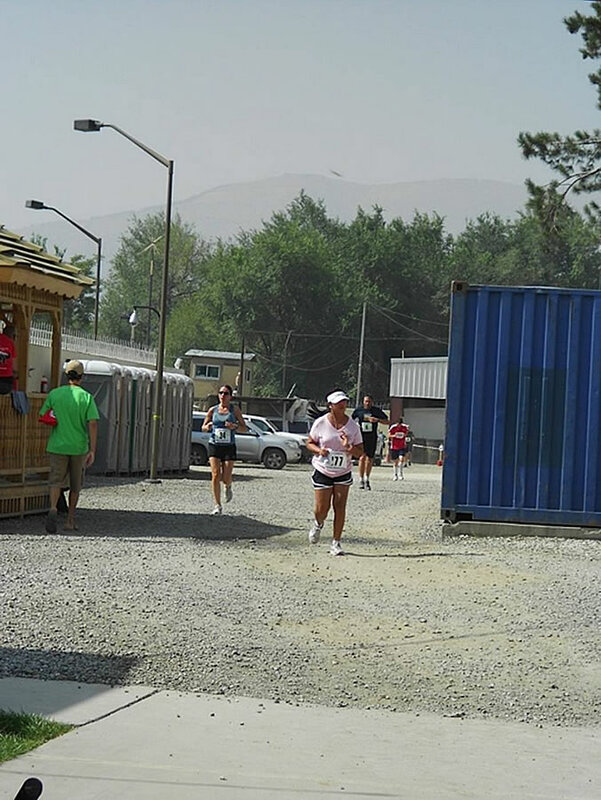 Running in Afghanistan means dealing with the sun (just like in Jamaica! ), the constant dust in the air, and the elevation. Kabul is 6,000 feet (1,828 meters) above sea level, which means about 20-25% less oxygen. (However, I am hoping this will reap dividends when I am in Greece running my next marathon at sea level in November!). Some of the 1.3 mile loop around the perimeter of the compound is on rocks, other parts are on cement, while another portion is on dirt. It entails running through "hooches" or living containers, through "bunkers," around the swimming pool, by the embassy, up and down a steep ramp through an underground tunnel, as well as around the "duck and cover"—the local "bar." Around almost every corner is a fully armed security guard. When I tire or get bored of running outside, I simply run inside on the treadmill while watching TV. Thankfully, the gym here are quite stocked with treadmills, bikes, rowing machines, and weights. 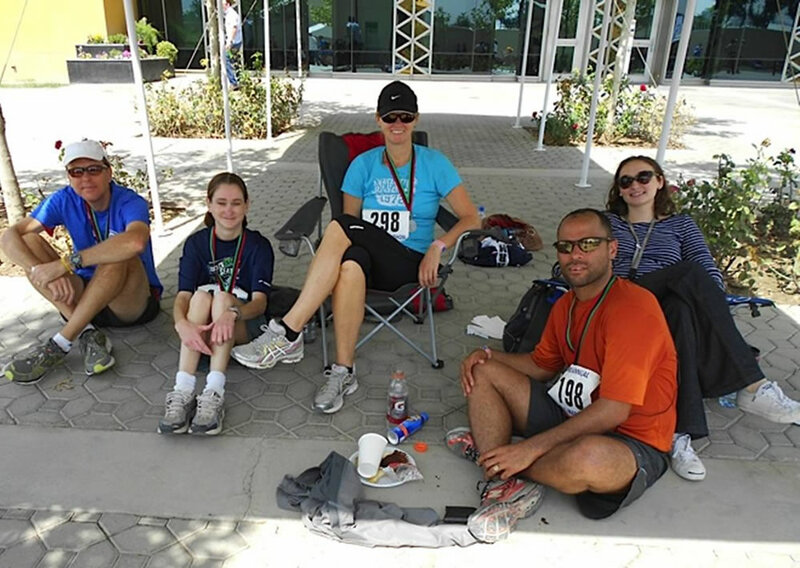 While living and working here can be a challenge, we also have fun! 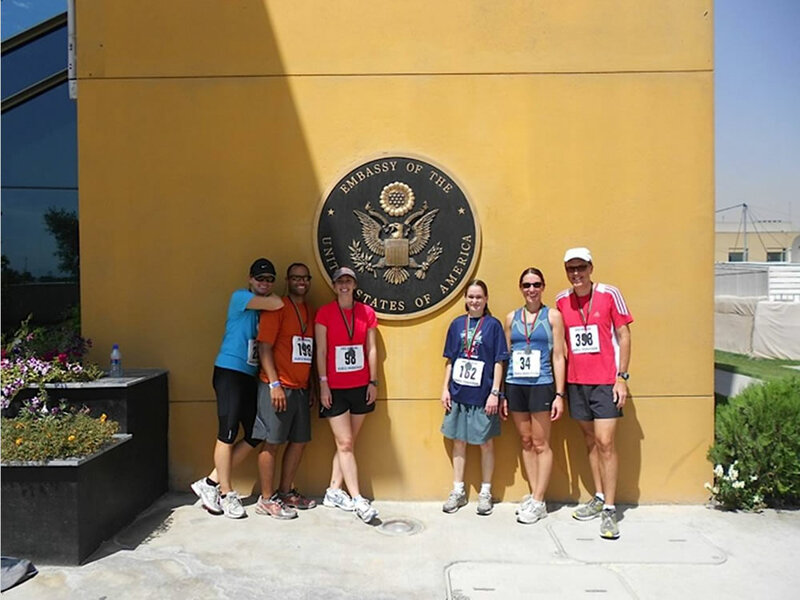 In fact, today was the third annual Kabul Marathon and Half Marathon which was run here at the U.S. Embassy compound. Over 250 people participated with the majority being military folks from all over the world including, among others, Macedonia, Poland, France, U.S., Australia and New Zealand. The camaraderie and the coming together of so many nationalities all working, and surviving, in Afghanistan was absolutely amazing. While the running group here on the compound isn't nearly as fun or exciting as the JamDammers and NO ONE is an early morning runner, we all kind of stick together. Runners definitely tend to seek out other runners! While I truly miss the JamDammers, the camaraderie, the races, and (dare I say this?!) the HILLS of Kingston, I am enjoying the challenges of living, working, and running in Kabul.